Gold imports by India tumbled by a fifth last year as high domestic prices deterred buyers in the second-biggest consuming nation and local stores remained well-stocked, highlighting a headwind to global demand even as bullion in dollars gains on renewed haven buying. Overseas purchases fell to 762 metric tons in 2018, a 20 percent slump from the previous year, according to a person familiar with the data, who asked not to be identified as the numbers aren’t public. That would make it the second smallest amount shipped into the country this decade. In December, imports shrank 23 percent to about 60 tons from a year earlier, the person said. Finance Ministry spokesman D.S. Malik didn’t respond to a call. 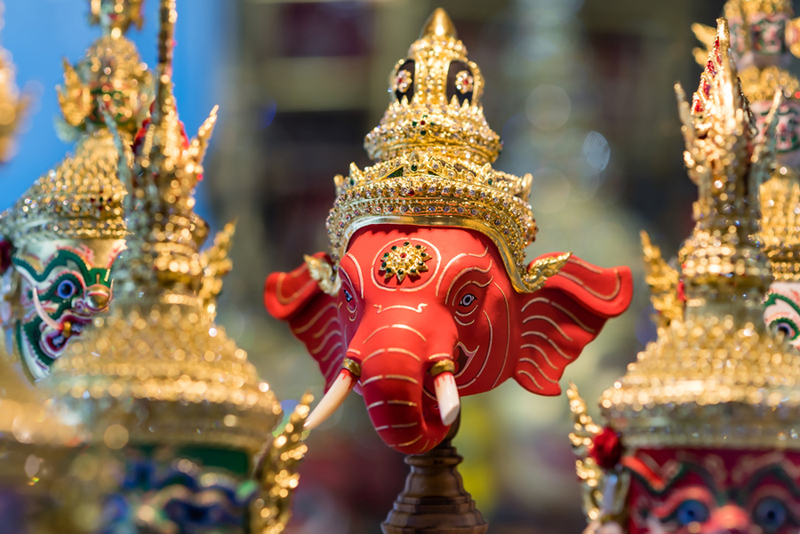 Demand for gold, almost all of which is imported, has been declining in India as a slump in the rupee made the metal more expensive in the price-sensitive market. A liquidity crunch and government measures to curtail consumption have exacerbated the decline. In dollar terms, bullion has recovered since August as global investors seek protection from equity market volatility, risks of slower growth, and the chances of fewer U.S. interest rate hikes. “The trend has been weak as far as demand is concerned,” said Gnanasekar Thiagarajan, a director at Commtrendz Risk Management Services Pvt. Ltd., referring to Indian consumption. However, the outlook may change in favor of gold in the first half of 2019, with demand expected to rise up to 20 percent as purchases for investment may pick up, he said. 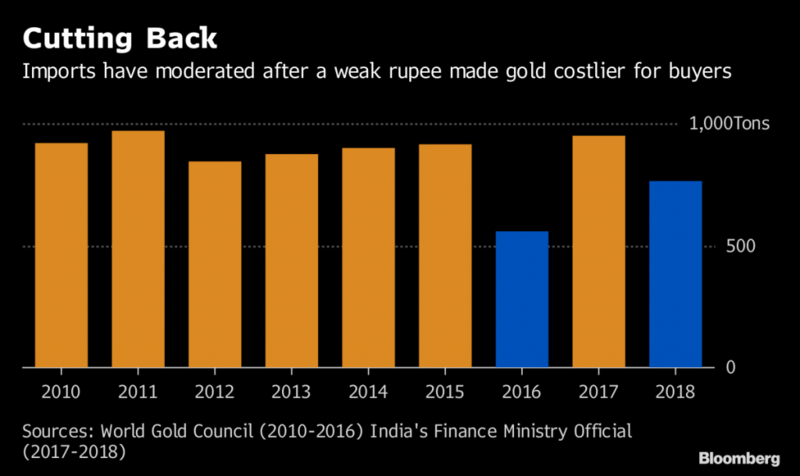 Last year, benchmark rupee-priced gold futures in Mumbai rose nearly 8 percent, rising for a third year aided by the weaker local currency, which fell to a record. In the same full-year period, overseas spot gold priced in the greenback ended almost 2 percent lower, paring its drop in the final three months.